Celsius Heat Energy drink is a pre-workout beverage from the makers of Celsius Energy Drink. 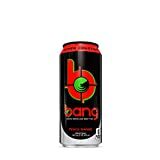 This drink is similar to their original but comes in a larger size and has more caffeine and the addition of L-citrulline, a vasodilator. Celsius Heat Pre-Workout Energy Drink is intended for healthy adults only who tolerate caffeine well. If you are unsure of your sensitivity to caffeine, consume only half of this product until you are sure you can handle the caffeine amount in Celsius Heat. Price: $31.79 $31.79Available from Amazon / Celsius Inc.
Price: $21.00 $20.83Available from Amazon / Celsius Inc.
Price: $28.68 $29.64Available from Amazon / Celsius Inc.
Price: $29.97 $49.99Available from Amazon / Celsius Inc.
Ascorbic Acid, Riboflavin, Niacinamide, Pyridoxine Hydrochloride, Cyanocobalamin, Biotin, Calcium d-pantothenate, Calcium carbonate, Chelate, Citrulline, MetaPlus Proprietary Blend: Taurine, Guarana extract, Green Tea leaf extract (leaf), Caffeine anhydrous, Glucuronolactone, Ginger extract (root) Other Ingredients: Carbonated Filtered Water, Natural Flavor, Citric Acid, Fruit and Vegetable Juice for Color, Sucralose. How Does Celsius Heat Energy Drink Compare? Celsius Heat Energy Drink contains 18.75 mgs of caffeine per fluid ounce (63.40mg/100 ml).